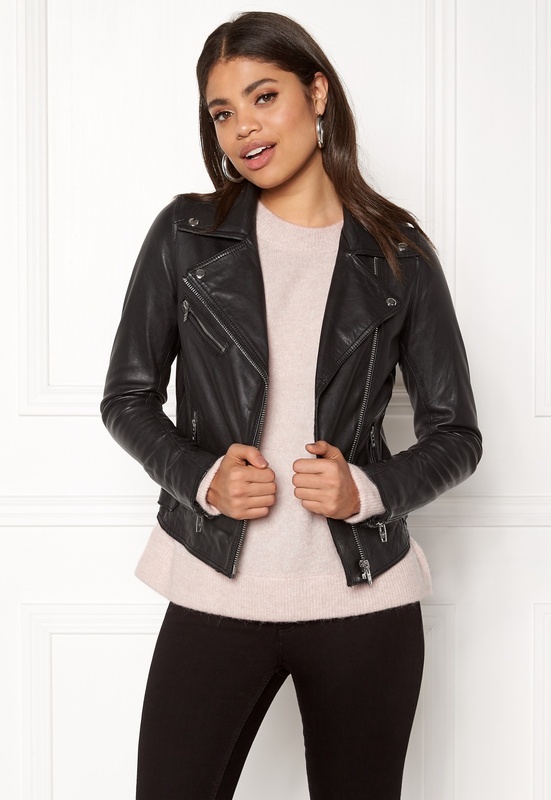 Stylish leather jacket in biker style from ROCKANDBLUE. 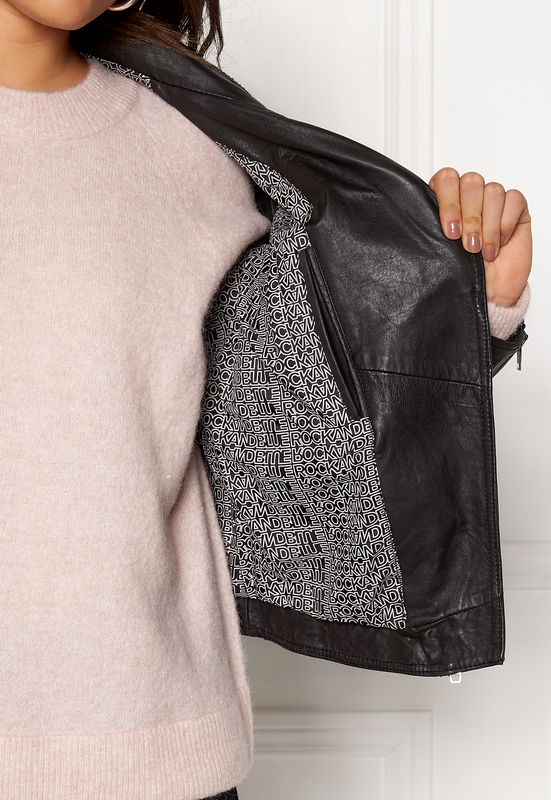 The jacket has lovely details and is a relaxed fit. - Three front pockets with silver color zippers - Zippers at wrists - Inner pocket - Lined - Great fit Back length from shoulder 52 cm, bust 92 cm, sleeve length from shoulder seam 62 cm in size 36. The model is 176 cm tall and wears a size 36. Dry clean only by an authorized leather specialist.